Spark a lifelong love of learning in your young reader by joining us on a journey through an ever-expanding world of interactive digital books and Video Field Trips hosted by everyone’s favorite storyteller, LeVar Burton. With Skybrary®, your child can truly go anywhere and be anything. Download it today and give your child a whole month of free access! • Enjoy unlimited access to hundreds of quality children’s books. • Discover exclusive educational Video Field Trips. • Unlock interactive animations that bring the stories to life and support reading comprehension. • Find tailored book recommendations based on your child's age and interests. • Create customized profiles for up to 3 children at no additional cost. • Choose "Read to Me" or "Read by Myself" for each book. • Track your reader's progress with a Parent Dashboard. For children, Skybrary is an immersive world of reading discovery, where they can pilot their own personal hot air balloons through 7 magical islands, each home to hundreds of quality books and videos that celebrate diversity, family and the world around us. Young readers are free to explore the topics they love most as well as discover new areas of interest. WHAT MAKES SKYBRARY SO SPECIAL? • Supports increased reading frequency and literacy development. • Designed to enhance reading comprehension through purposeful interactivity. • Enhances a child’s relationship to reading by making it fun, interesting, and relevant. • Designed to engage young minds within the context of a modern family’s busy lifestyle. • Provides healthy, interactive, educational screen time. • Register and get a 1 Month Free Trial to everything we have to offer! • Subscribe and unlock an unlimited reading experience for your child: 1 Month for $4.99 USD or 1 Year for $39.99 USD (all subscriptions are recurring). • Your subscription is connected to your iTunes Account and can be used on additional iPads, iPhones, and across the web on any browser. • Payment will be charged to your iTunes Account at confirmation of purchase or at the start of the first subscription period after an eligible free trial has completed. • Your subscription will auto-renew unless auto-renewal is canceled at least 24 hours before the end of the current subscription period. • You may turn off auto-renewal at any time from your iTunes account settings. • Cancellations will be reflected during your next billing cycle. 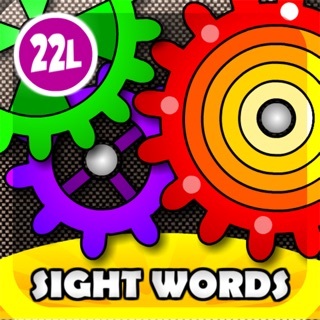 Building on the mission of the long-running TV show, this marvelous app encourages kids to read with a huge assortment of books and video clips. Fun categories like Awesome People and Animal Kingdom—and recommendations based on children’s interests—ensure they’ll find something they love. Parents can use the app to promote reading at home, and it offers teachers a vast library curated by a trusted source, making it easy to align with Common Core State Standards. I was hoping, when we got this app, that it would contain all the classic bits like Toothpaste Millionaire from Reading Rainbow - where most of us know Levar Burton from. Sadly, due to legal disputes, he can no longer post that content and Reading Rainbow itself has no content to speak of. I would have loved to share with our kids some of these stories from my childhood. That said, the app has loads of books and videos. Kids can read or have stories read to them. I originally tried to access the Skybrary from my PC through my browser with my daughter and just about nothing worked properly- hence the missing star. The books would not open and it crashed repeatedly. Everything so far works as it should on the iPads. I wanted my granddaughter (5 yrs.) to use her iPad for something other than watching videos and playing games. There are a huge number of age appropriate (you choose the age) books which are wonderfully narrated. The app allows any five books to be placed in a backpack (downloaded) so children can ‘read’ even when offline. This app is totally worth the money!